Father's Day is coming up this weekend. You may be thinking of what to get that special dad in your life. You could be shopping for your husband or your own father. Hallmark has a great line of gifts that include Life Is Good. 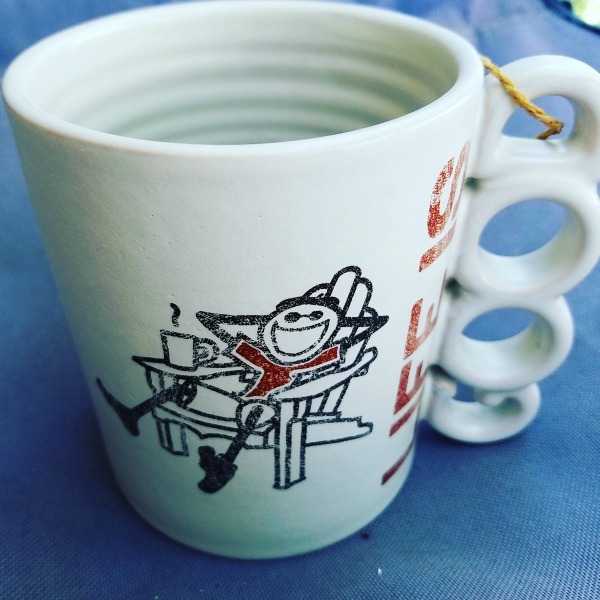 This mug is perfect for any coffee or tea drinker. I'll be giving this to the hubby to take with him to work. Life has its obstacles but at the end of the day we are pretty lucky. I'm grateful for the work he does to support me and the kids. Looking back on my childhood, I was also very lucky to have a good Dad. He was always fun and I had a good father daughter bond with him. Yes, I was daddy's little girl. We had cool Halloween parties. I enjoyed bonding with him in the yard, building a deck, and sorting out baseball cards. We watched Rocky movies and action flicks. When I was sick from school he would bring me Bop magazines and TMNT comics. He never criticized me and always tried to understand me. The years have passed and we don't live near each other anymore. There was a time where we didn't see each other for a while. We now see each other again and he has met his grand daughter. It is sometimes hard to realize our parents are not perfect and have problems too. I won't forget the fun childhood I had. This is Raised on Love 6 x 8 Framed Art by Ken Sheldon. Add a sentimental touch to any decor with this framed art print of a father teaching his child to walk. This is so sweet. The hubby will have to put this in his office at work. 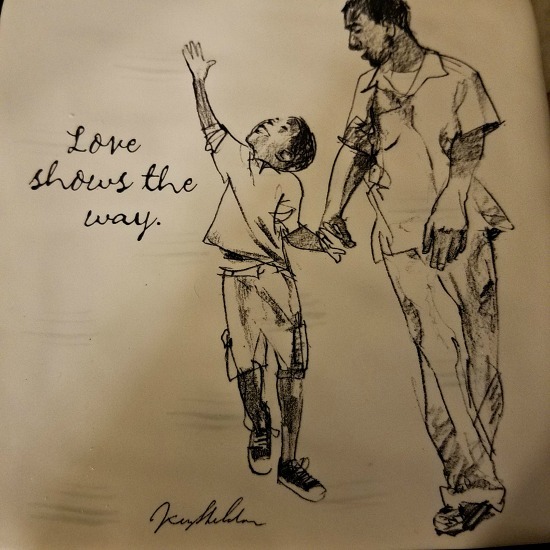 Love Shows the Way decorative tile is a ceramic tile with this father and son image. I love the art work. The tile comes with a base to stand it up. 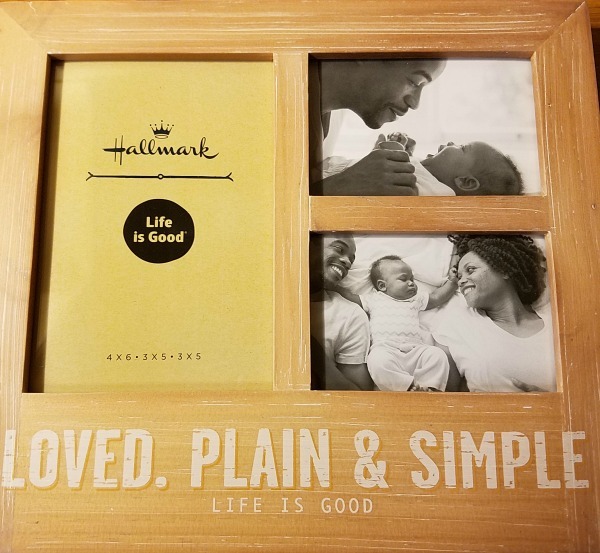 Life Is Good photo frame holds 3 photos. Loved. Plain & Simple. What a wonderful and perfect caption. You have the opportunity to win this prize pack for a father in your life. Who will you give these gifts to? Giveaway includes: All 4 gifts from Hallmark. Details: Enter using the rafflecopter form. You can do one entry or all entries. Open to US, 18+. Prize Pack will be shipped by sponsor. My daughter would love this frame. I really love the Life is Good photo frame. It's cute and simple. Hallmark is a great choice for any occasion.